Moringa contains 18 amino acids to sustain life, making it unique in the plant world. Moringa contains 18 Amino Acids, including all 8 essential amino acids. Amino acids are of great importance to human health. The body requires 20 different amino acids to build all of the proteins needed for cell growth, repair and maintenance. Just as different letters of the alphabet are used to form different words, so are different amino acids used to build different proteins. In the correct ratios they help to keep the body strong. The human body is capable of manufacturing only 12 of the 20 different amino acids needed to build proteins used to grow, repair, and maintain cells. The other eight are known as essential amino acids because since the body cannot manufacture them, they must be supplied by the diet. This is not always as easy as it sounds. Often, the full range of amino acids a body needs to be healthy, are lacking in our food. Many people today are overweight, yet under-nourished. The health of your cells determines the health of your body. Cells are constantly being renewed by the body. Our skin is totally replaced every 27 days and our skeleton is renewed every two years. Every day billions of cells replace the ones that came before. Each and every regeneration must be a perfect copy for the body to remain in a state of health over the long term. This process of cell regeneration can be disrupted by a number of things, such as pollution in the air, water, and soil, radiation from the sun, stress, lifestyle choices, poor sleep and especially from consumption of our overly processed foods. Amino acids play an important role in healthy nutrition. In the right bio-available amounts, they fortify the body against the most common health concerns, and have been shown in studies to combat the aging process. According to clinical pharmacologist, Dr. Monica G. Marcu, “Amino acids are best absorbed from a complex, naturally occurring food or plant source. Moringa is an extraordinary plant. It’s a plant that has all the nutrients that could be found in a perfect food”. Moringa is one of very few plants that contain all eight essential amino acids. 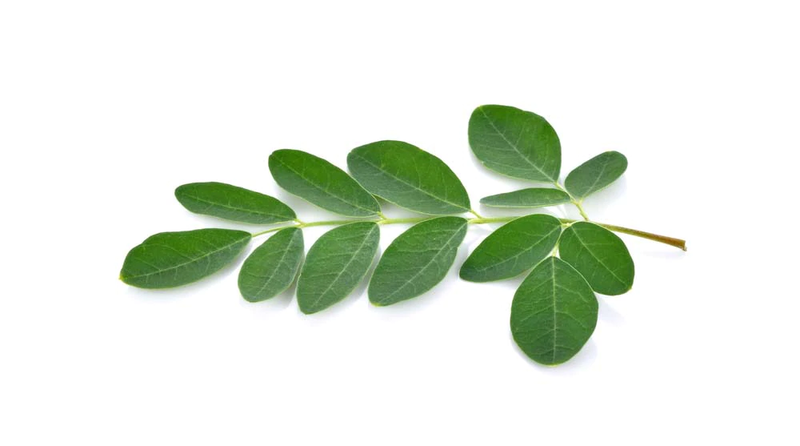 Here’s a list of the complete range of naturally occurring Amino Acids found in Moringa and a brief explanation of why our bodies requires them, beginning with the 8 essential amino’s. THREONINE is an important part of collagen, elastin, and enamel proteins. Not only does it assist metabolism, threonine helps prevent fat build-up in the liver while boosting your body’s digestive and intestinal tracts. TRYPTOPHAN supports your immune system, alleviates insomnia, reduces anxiety, depression, and the symptoms of migraine headaches. It also is beneficial in decreasing the risk of artery and heart spasms as it works with lysine to reduce cholesterol levels. ARGININE has been shown in studies to cause the release of the growth hormones considered crucial for optimal muscle growth and tissue repair. It also improves immune responses to bacteria, viruses, and tumour cells while promoting the healing of your body’s wounds. HISTIDINE is used in the treatment of rheumatoid arthritis, allergies, ulcers, and anaemia. A lack of histidine may lead to poor hearing. SERINE is important in storing glucose in the liver and muscles. Its antibodies help strengthen your body’s immune system. It also synthesizes fatty acid sheaths around nerve fibres. PROLINE is extremely important for the proper function of your joints and tendons. It also helps maintain and strengthen the heart.